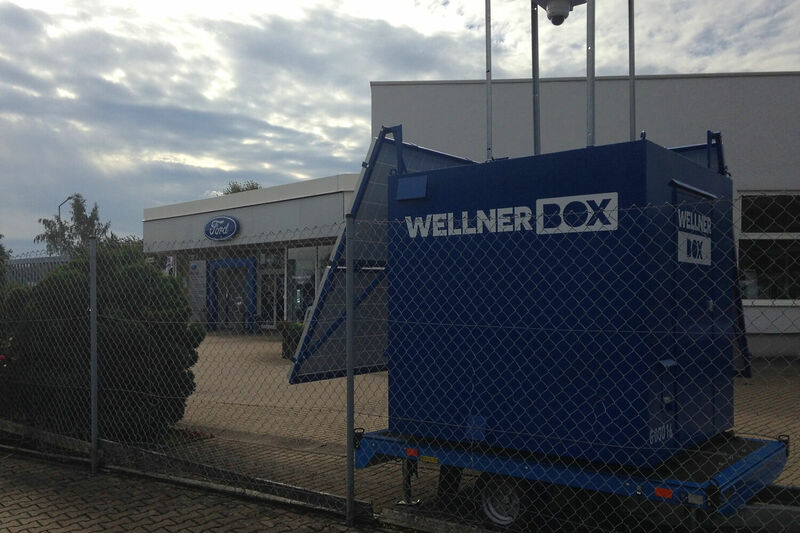 The WellnerBOX project arose from the need for a mobile surveillance solution that would meet and exceed all the requirements of modern fixed installations. Mobility is THE core element of our all-in-one solution and all considerations, variants, components etc. comply with this strict design. Designed to be used outdoors any time, anywhere, we focused on mobility, a range of transport options and, of course, self-sufficiency right from the start. Depending on the application, we use differently equipped and adaptable models. 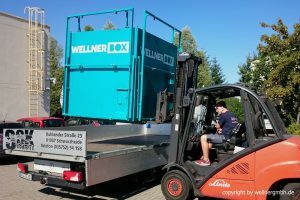 A large part of the WellnerBOX ‘classic’ is designed as a solid – almost cube-shaped – container with an edge length of around 2 metres, and is transported to and from the customer by truck. Lift trucks, wheel loaders, forklifts and cranes, i.e. 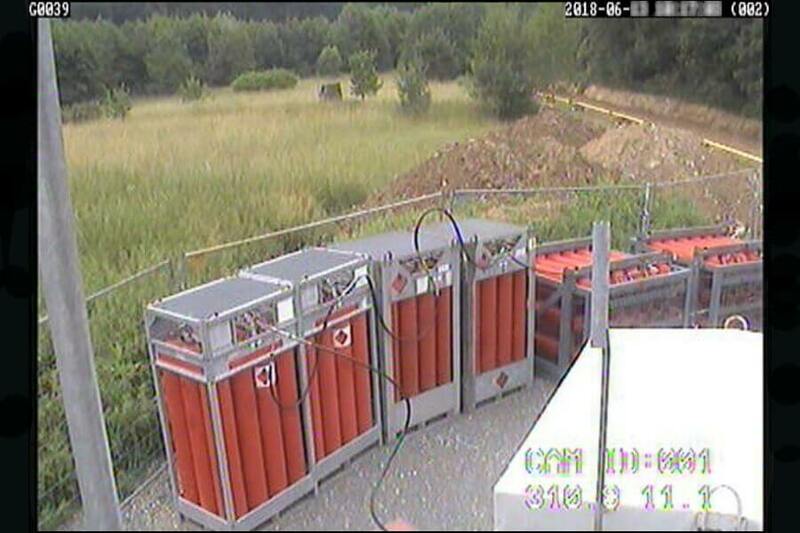 equipment that can be found on any typical construction site, can be used for positioning on site or for moving. On a few models, the container was firmly mounted on a heavy trailer and does not have to be loaded by the transport truck first. 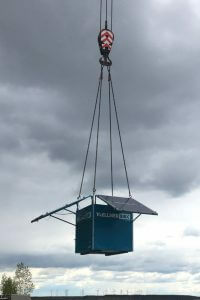 The WellnerBOX ‘mobile’ is designed for uncomplicated immediate use with very low transport, service and cost expenditure. Thanks to its light weight and special trailer construction, it can be towed by any commercial car with trailer coupling. A Class B driving licence is sufficient for transport. 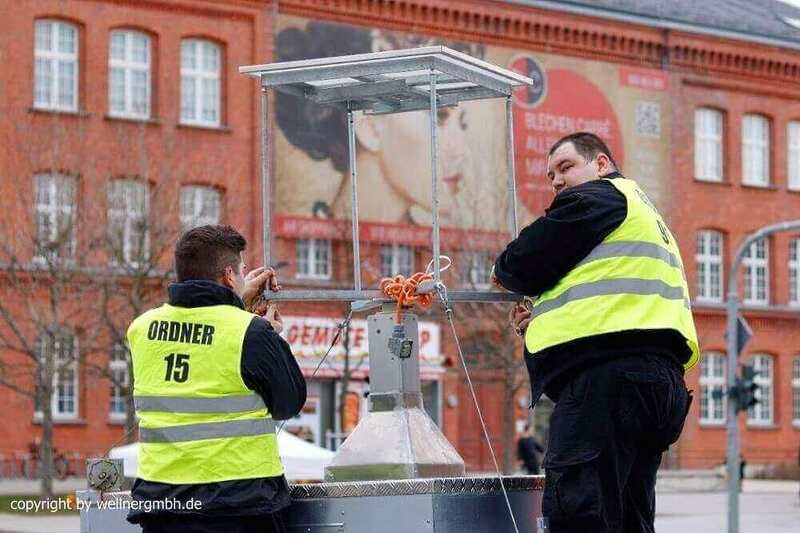 The light and at the same time robust design is also convincing on site, because no equipment is required to move it. A single trained person is able to handle the WellnerBOX ‘mobile’. It couldn’t be quicker or simpler! We will publish further trade fair dates here shortly. Stay tuned!